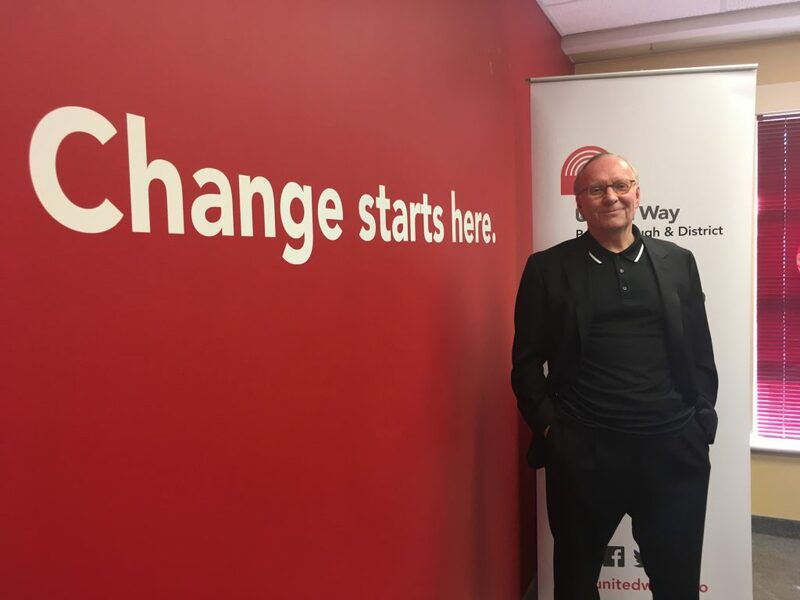 This morning at the United Way office, Lakefield resident David Goyette was introduced as the 2019 United Way Campaign Chair. 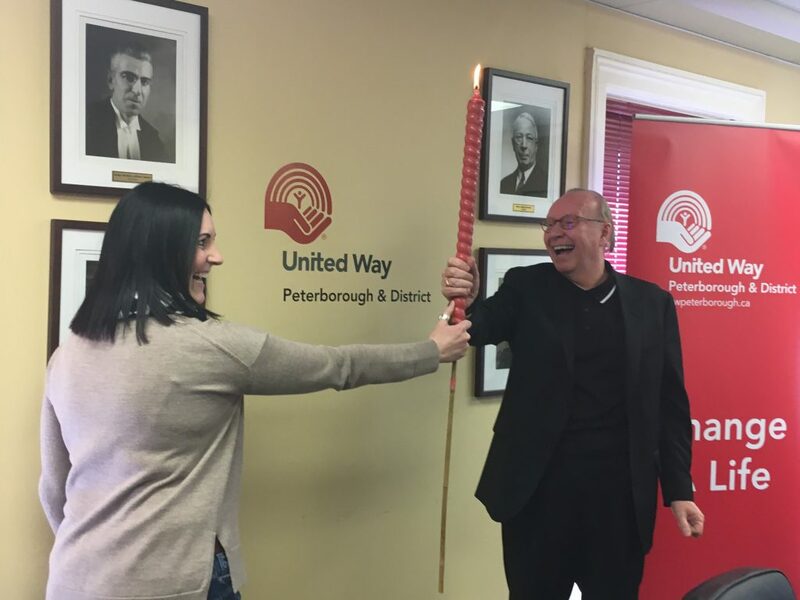 2018 Campaign Chair Megan Murphy was on hand to “pass the torch” to Mr. Goyette. Joining David was his partner Victoria Pearce. United Way CEO Jim Russell said that “David is a true renaissance man,” citing Goyette’s accomplishments as an academic and published author; a writer, journalist and playwright; a songwriter, guitarist and recorded musician; a painter; and a successful consultant, entrepreneur and business person. With degrees from the University of Toronto and Queens’ University, David’s professional career has focused on public affairs and communications consulting to more than 100 Canadian and American politicians; 33 offices at Queen’s Park including 17 Deputy Ministers; and the leaders of Canada’s business community, including the senior management at most of the country’s major banks. 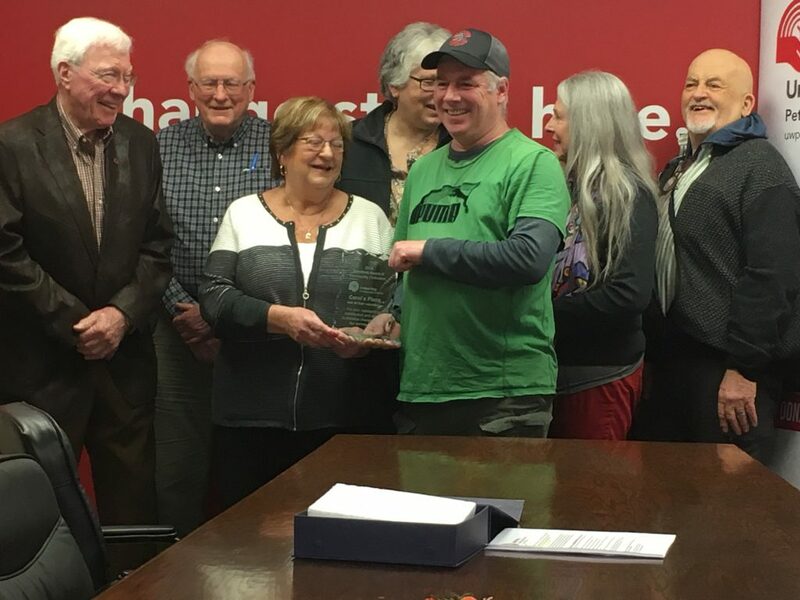 Goyette’s volunteer activities in the Peterborough community include service to 20 organizations, including 5 as a Board Director. Peterborough has proven to be fertile ground for David, who has published three books, mounted 15 shows of his paintings, and recorded a blues album since 2011. Full proceeds from the sale of his books were donated to local charitable organizations. The campaign will launch on September 18, 2019.